This article is part of our special report Road transport. Earlier this month, the European Commission proposed a major overhaul of EU telecoms law that would modernise and speed up internet networks to support industrial broadband use for technologies like driverless cars. 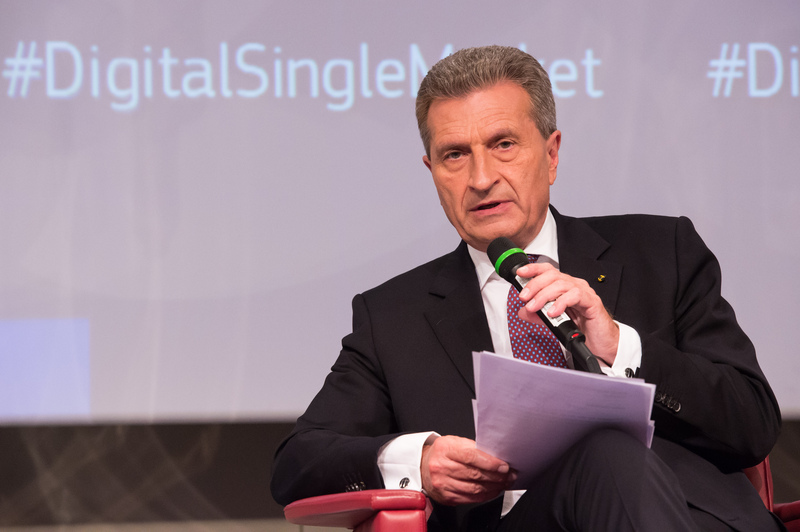 Günther Oettinger, the EU tech policy chief responsible for the new telecoms rules, is one of a handful of commissioners pushing for legislation to help get cars with internet functions onto the market. Some car industry lobbyists have called the Commission’s approach to promoting driverless cars sloppy because there are too many top officials angling to own the file. Violeta Bulc, the EU transport commissioner, attended a UN traffic law meeting this summer where she was criticised for the Commission’s slapdash work on new car technologies, according to a report from the session. The chair of the UN group on autonomous vehicles slammed the executive for “confusion within the EU institutions between automated and connected vehicles,” referring to cars that use the internet for specific functions like parking assistance. A working group set up by a different commissioner, Elzbieta Bienkowska, who’s in charge of internal market policies, is meeting with industry groups to pinpoint what pieces of legislation need to be changed before driverless cars can actually be sold and driven on public roads. Some critics complain that EU countries won’t manage to get driverless cars out before the US because 21 out of 28 EU countries signed onto the Vienna Convention on Road Traffic, a UN treaty that requires a driver to be able to take control of a vehicle at any point. The Convention allows for testing of driverless cars, but it doesn’t allow them to run on public roads without a driver in control. Google and Tesla have been developing driverless cars in the US, where the Vienna rules don’t apply and traffic laws differ by state. The UK did not sign onto the agreement and has been offering public funds to support driverless car testing. European politicians have indicated they may try to change the agreement. Bulc has said she is considering making changes to the Vienna Convention to allow cars to operate without any help from a driver. Germany’s Transport Minister Alexander Dobrindt has said he’s lobbying for a change that will redefine a driver to include technologies that can control cars on their own. Dobrindt proposed a new national law earlier this month that will let drivers give up some control over automated cars—although they will still have to be ready to take over at any point. But one Commission source said it will still take a while until a new amendment to the Vienna Agreement is introduced. “If driverless cars are going to go cross-border, of course we need an amendment,” the source said. Next year, Bienkowska will announce whether she’ll propose any legal changes to ease the way for driverless cars. Until then, the working group will write reports for the Commission on possible areas for change, like how data gathering and insurance will change once drivers are taken out of the equation. Even if driverless cars aren’t allowed on public streets, they are already being tested in some parts of the EU—and even as part of cities’ public transport systems. In the Helsinki neighbourhood of Hernessari, one driverless bus made by French manufacturer Easymile has been transporting commuters for the past month at a maximum speed of 40 kilometres per hour. And Finland is a signatory to the Vienna Convention. Eetu Pilli-Sihvola, a special adviser at the Finnish Transport Safety Agency, says that was possible because of how Finnish regulators interpret the treaty’s requirement of a driver who can take control of the vehicle. A person stands inside the driverless bus—it doesn’t have a steering wheel—poised to press an emergency brake in case the technology fails. “For doing testing with individual vehicles the current Vienna Convention is enough, at least in Finland,” Pilli-Sihvola said. The driverless bus costs more than a standard bus—around €200,000, but the city plans to add another one by the end of this year. Eventually, the developers want the operator in control of the emergency brake to monitor the bus rides remotely, leaving passengers on their own. But auto manufacturers that already test their driverless models say only a change to the Vienna Convention will help the technology go into wider use. “We’re not only selling trucks in Sweden. We’re in 192 markets so basically what we do here has to fit the world,” said Christian Gante, an engineer working on Volvo’s driverless trucks. One model is already being tested inside a mine in Sweden’s northern Lappland region. 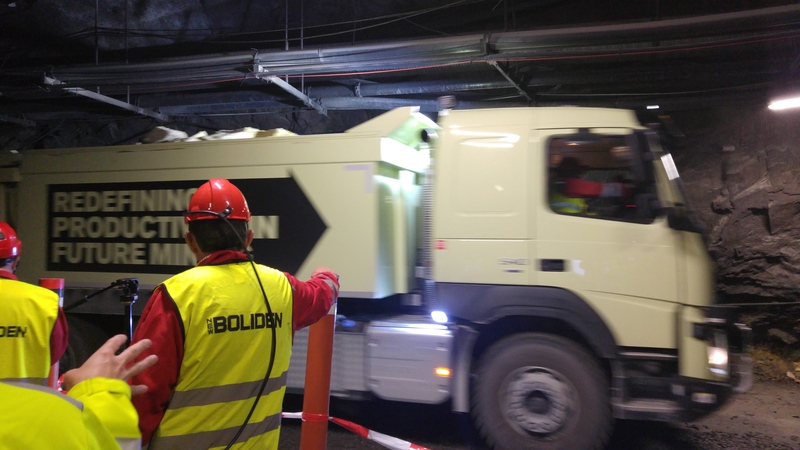 The truck runs nearly 500 metres underground, which forced engineers to develop sensors that could work without relying on GPS technology. Next year, the bus will be used along with regular trucks in mining work. Engineers say the driverless truck could consume 40% less fuel because it will stop less and operate at a lower speed. That could explain why EU legislators are eager to jump on the driverless bandwagon. The Commission has promised to dramatically slash the amount of carbon emissions from the transport sector by 2050. “With the same dimensional values we have today you probably could carry more goods and have a smaller carbon dioxide footprint. But that is very far out in the future,” said Torbjörn Holmström, Volvo’s chief technology officer. The race for driverless trucks is also a testing ground for the highly competitive car industry, with some EU countries eager to compete with each other to attract the lucrative car business. The UK government has poured public funds into driverless car testing in a bid to draw carmakers there with their newest technology. During her speech in May, the Queen even announced a new bill to “ensure the UK is at the forefront” of autonomous car technology. That has caused some grumbling in other parts of Europe that the UK is at an advantage. One reason for that, legislators and carmakers from competing countries say, is that the UK didn’t sign onto the Vienna Convention, so test drives can run without a driver ready to take over the vehicle. Britain is not without rules, however. The UK government published non-binding guidelines for driverless cars late last year that more or less matched the treaty’s clause on drivers. Speculation that the UK has an edge because it didn’t sign the treaty is “folklore,” according to Tim Armitage, director of a project that won government funding to test passenger cars and small vehicles for public transport in two UK cities. “I don’t think that’s why the manufacturers have come to the UK to get involved in the testing. As all governments do, they want to make sure UK businesses get a piece of the action. They were keen to develop these technologies in the UK as a showcase,” Armitage said. In the tests in Milton Keynes and Cambridge, drivers will be liable in case there’s a collision, Armitage said. At a meeting of Bienkowska’s industry group in June, insurance industry lobbyists predicted a move towards car manufacturers becoming responsible in case a driverless vehicle crashes. But Armitage says insurance issues won’t be a big obstacle in the years before driverless cars can be bought in Europe. “The process will get even quicker with connected and autonomous vehicles because there will be so much data available. There will be black boxes and so much of that data will have to be held for a certain amount of time for investigations to be carried out really quickly,” Armitage said. Connected cars use internet connectivity to perform various functions, including measuring location, road conditions and car performance. 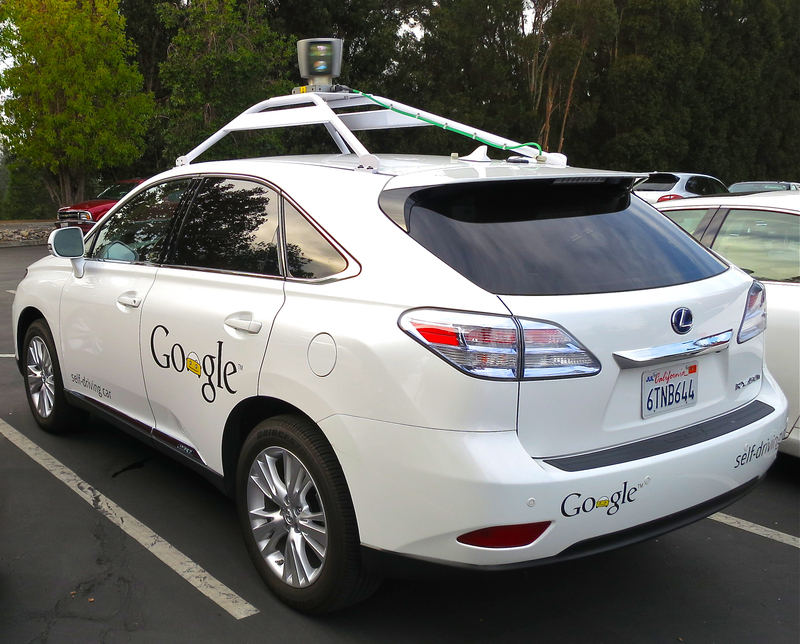 Fully autonomous or driverless cars do not need driver intervention to function. Car companies have been calling for laws that would allow autonomous cars to drive more freely in Europe. The EU has been organising initiatives to promote road safety and traffic management by pooling information provided by cars that are hooked up to the digital network infrastructure, as early back as 2010. In particular, the EU executive wants wants the industry to convert their efforts into "a global market success" via enhanced co-operation and standarisation of ICT-aided cars. Car manufacturers have also invested heavily in these. The European Commission has announced that it will propose legislation in 2016 that will impact connected cars. 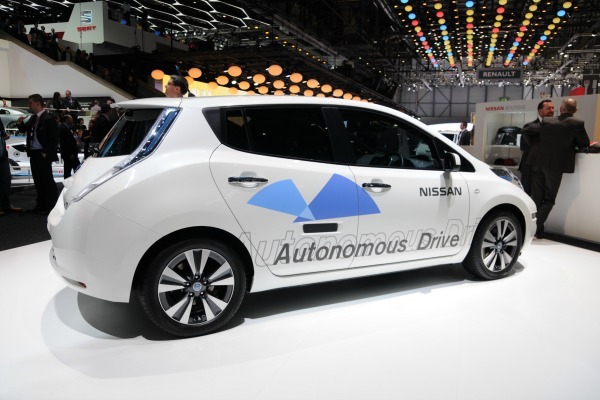 The GEAR 2030 working group will meet for two years starting in January 2016, and focus in part on autonomous vehicles. The Commission's transport department DG Move will make changes to the intelligent transport systems directive in 2018 that will affect data protection and secure communication between vehicles and infrastructure. This article is missing important information. I would be happy to provide them to the author of this article.